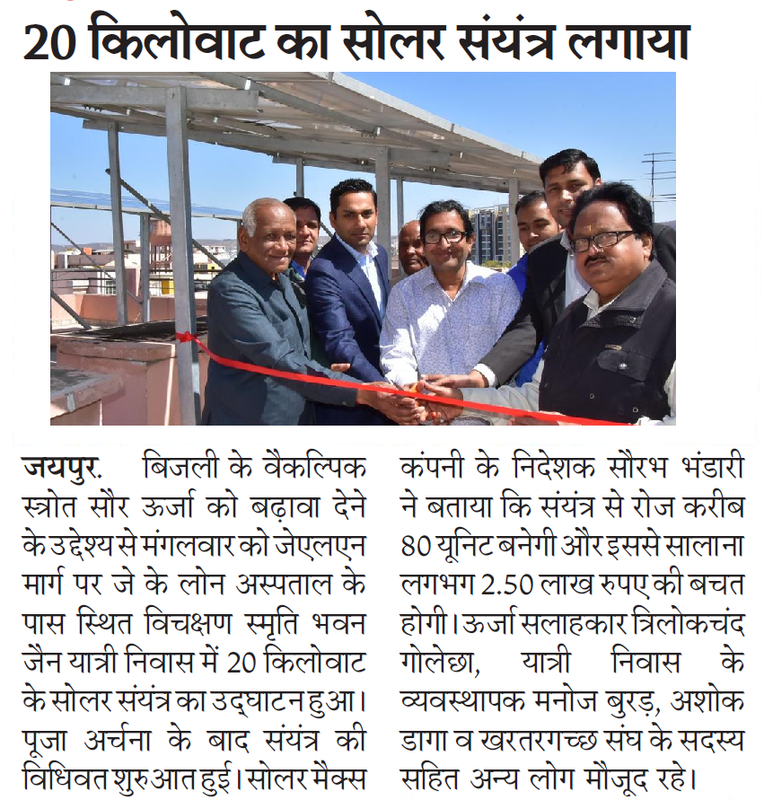 Last month was the inauguration of a 60KW Solar Power Plant at Arihant Vatika Mohanbadi Jain Temple at Jaipur Delhi Highway, Rajasthan. 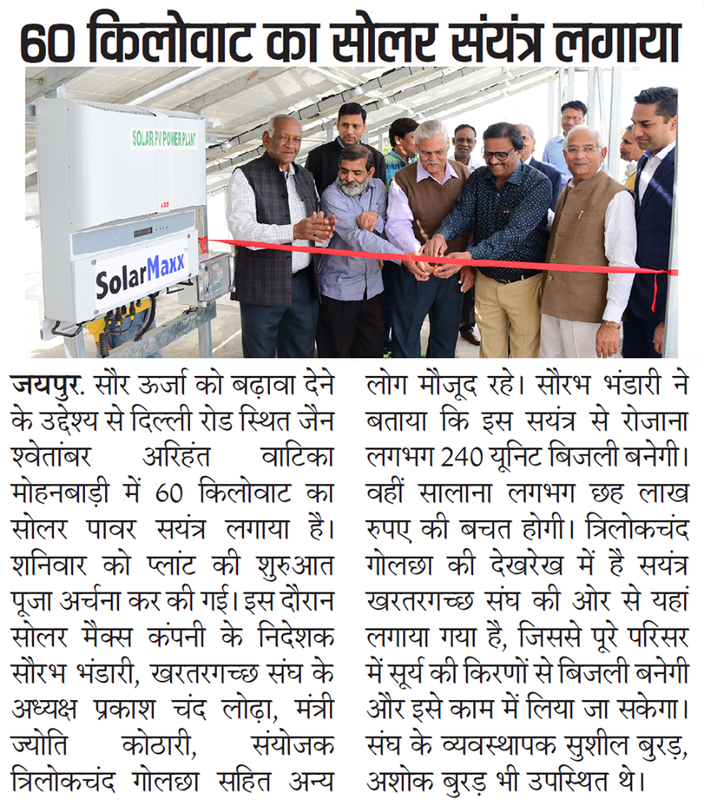 The plant installed by SolarMaxx’s highly trained and equipped in-house EPC team using SolarMaxx 320W Poly-crystalline Solar PV Modules and ABB inverters will generate approximately 240 units of electricity per day and save the institution about Rs. 6 Lakh annually that can be utilised in community development activities. The power generated during the day by the plant is used for its own need and the excess is sent back to the grid, that would be redeemed in the monthly bill against the units consumed. There was a time when environmentalists would seek the involvement of religious institutions to spread the green message, considering that they attract a large number of devotees. They often proposed that pilgrims could plant trees. Now a days such institutions and individuals have adopted alternate energy which will in-turn make a larger impact on the society considering the large number of followers that visit religious monuments and pilgrims. 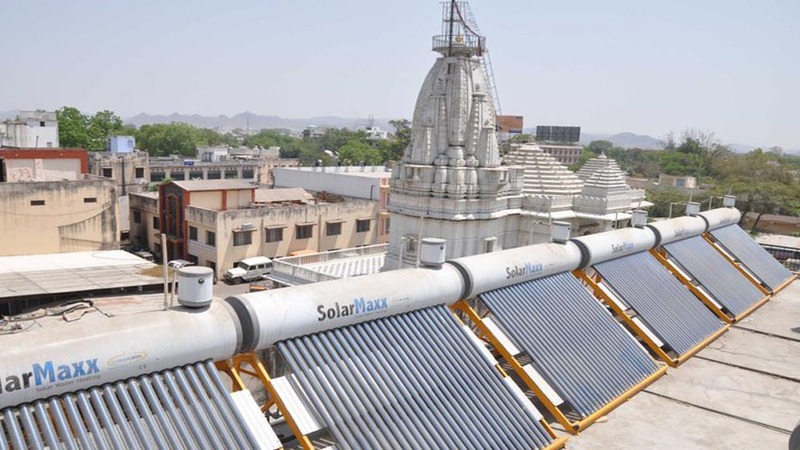 Many temples and mosques are well known for using solar systems across the country and many dharamshala’s install such systems too. To adopt solar energy is in terms with most religious principles of protecting the environment by using non-polluting natural resources. There are ample number of donors for religious institutions who generously provide funds for initiatives like installing air-conditioners, construction, etc. 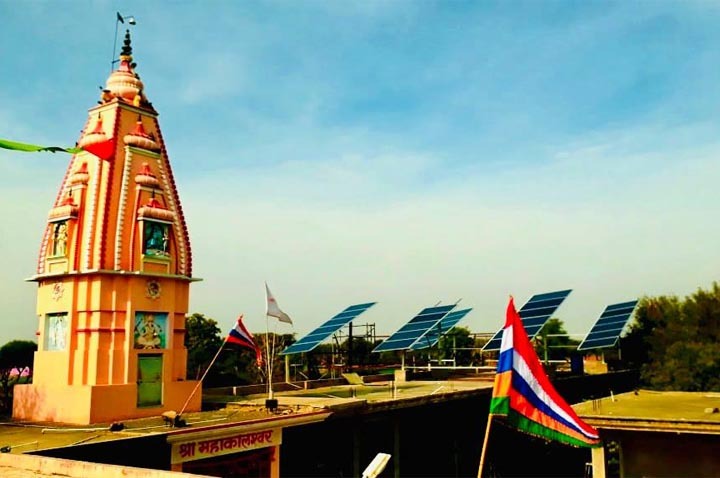 Places of worship in India, from Mosques to Temples to Churches to Gurudwaras and dharamshalas are now making a green mark by using solar photovoltaic energy to power prayers across the country! SolarMaxx has been extremely lucky to have converted several such institutions of religion to Solar!